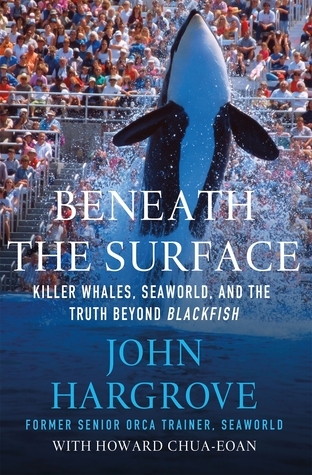 Beneath the Surface: Killer Whales, SeaWorld, and the Truth Beyond Blackfish by John Hargrove from Random House Audio. 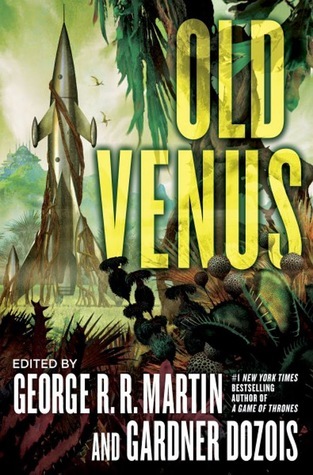 Old Venus, edited by George R.R. Martin and Gardner Dozois from Random House Audio. From pulp adventures such as Edgar Rice Burroughs’s Carson of Venus to classic short stories such as Ray Bradbury’s “The Long Rain”, the planet Venus has loomed large in the imaginations of science fiction writers. Here, that steamy, swampy jungle world with strange creatures lurking amidst the dripping vegetation is explored in sixteen all-new stories. Yay for audiobooks! I’m really enjoying mine at the moment (I may have driven around longer to finish the chapter LOL). I wonder what happened over that controversy. I haven’t heard about it in awhile. Enjoy your books. They both look good. I hope you enjoy both audiobooks, Leslie. Both audios sound fascinating to me. Can’t wait to hear what you think! Beneath the Surface sounds like an important book. I’ll be watching for your review. I need some good audio – I have been so busy lately even my listening has suffered as I need full on attention to what I am doing. Neat covers. Not sure I like the books, though. Thanks for sharing, and I hope you have been enjoying your week. I am a bit late visiting. Mailbox Monday ~ March 16th | My BlogThe Philosopher's blog.